Giamante's is the premier, full-service jeweler, Anchorage clientele return to time and time again to find the perfect jewelry gifts to celebrate life's special occasions. Giamante’s serves as a full-service jewelry store, offering a premier selection of diamonds, designer jewelry and timepieces, along with custom designed jewelry. We're located at 2101 Abbott Rd Ste 8, Anchorage, AK 99507. We’re happy to say we’re locally owned and operated with over 30 years of jewelry experience. We are not a high-pressure sales environment and we welcome browsers. Stop in and visit, ask questions, obtain information and shop around! We will teach you the difference in quality jewelry and quality craftsmanship! If you are looking for a certain item, style or design and can't find it on our website, please call! We have hundreds more designs and a custom-creation department. Our gallery is large enough to host diamond rings, bridal jewelry, sterling jewelry and unique & fun jewelry, we have a large selection of gifts as well in all tastes, styles and budgets. 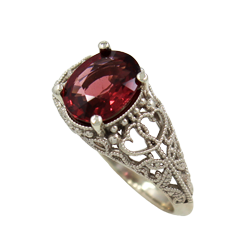 We also offer ring sizing, custom creations, appraisals, and much more. 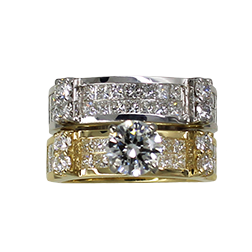 If you can’t find what you’re looking for in our inventory, we can have the perfect engagement ring or wedding ring custom designed for you. We have professional CAD designers and handcrafted wax carvers who can bring your ideas to life and fashion the right piece from scratch. We love assisting couples with choosing the perfect engagement ring to symbolize their commitment to one another. 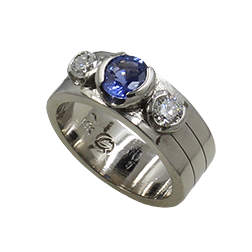 Many customers desire an engagement ring that's unique and stunning, customized for the individual. 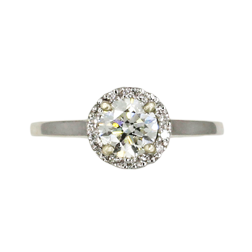 Browse our premier, full service jewelry store in Anchorage where you will find the perfect ring for your bride. Our elegant gallery showcases select, fine jewelry from acclaimed designers, and our experienced jewelers can assist you in selecting a gemstone, creating your custom wedding ring or performing repairs on existing jewelry. The next time you're shopping for a piece of jewelry to mark a special occasion in your life consider Giamante's jewelry store to help make your special moment perfectly unforgettable. View our Gallery of Custom Jewelry Designs Created at Giamante. Find The Perfect Wedding Bands and Engagement Rings at our fine jewelry store in Anchorage specializing in bridal and engagement jewelry. For engagement ring assistance, please call (907) 349-2131.
at 2101 Abbott Rd. Ste. 8, Anchorage, 99507.